The Playscape Team is on Holiday! The Playscape team is having an extended Easter holiday from Friday 19 April 2019. We will be back creating fantastic playgrounds on Monday 29 April. Have a wonderful and safe Easter break! The team at Playscape is dedicated to providing little explorers with an environment that gives them the opportunity to imagine, explore and discover. 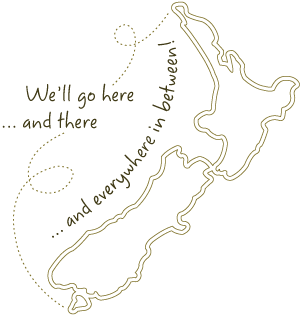 We specialise in delivering natural play settings that evoke a sense of New Zealand's natural, wild beauty, allowing integrated teaching and learning opportunities. Our challenge is to maximise your playscape by integrating safe and stimulating play features within green spaces, whilst also sustaining an easy care, clean and visually appealing environment. Our history of strong design concepts reflects our understanding of the social interaction between childcare providers and children. Since 2007, our professional team have delivered successful playscapes throughout New Zealand. We are dedicated to helping educators grow fantastic kids through inspiring and innovative playscapes. Book a free consultation now, and find out how we can help you. It takes time to create your dream playscape. By getting us involved at the initial stages of planning we can design and build your playground vision with ease. So call us early in your planning process to make sure your dream becomes a reality. Does your outdoor play area need some inspiration? 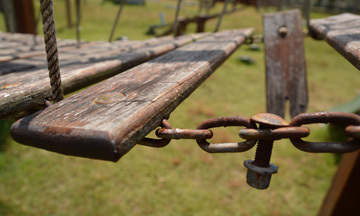 Concerned about the safety of your outdoor play area? First impressions are important when it comes to encouraging parents to enrol their children at an early childhood education centre. A parent wants to feel confident about the centre's environment. They'll look at what your centre has to offer - the level of care, safety and opportunities for their children to be physically and mentally engaged. The playground often surrounds a centre's building and is the first and last area that parents will see. The outcome of that experience will greatly affect their decisions. 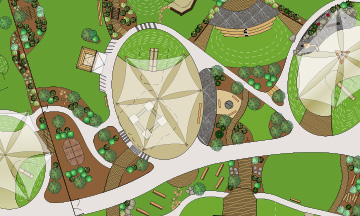 Playscape can help you address key issues that are often overlooked in playground development, design and construction. We can develop a playscape for your centre that will wow prospective families and delight your existing ones. 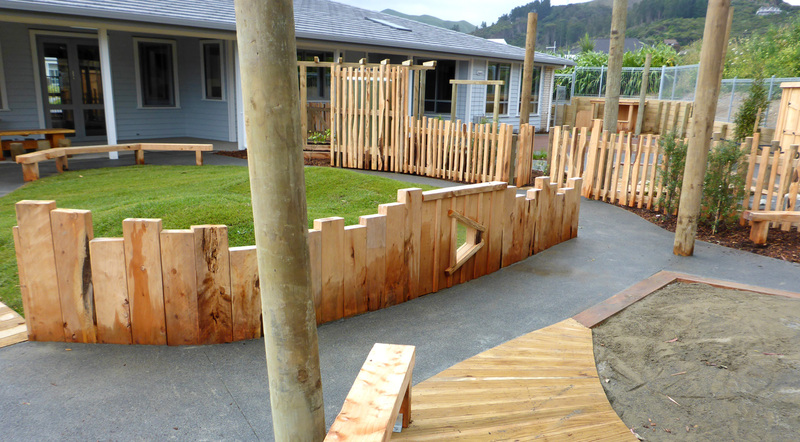 Here's one of our latest playscapes at a childcare centre in Whitby, Porirua. You can see more of the fantastic playscapes we've created in the gallery. We've also made it easy for you to pick and choose the playscape elements you might like at your centre. Just add your preferred images to your playscape wishlist. Your wishlist helps to give us an idea of the type of playscape you would like for your centre. You are not limited to the options available in the gallery; we can create custom features on request. Whatever your choices, we will create a playscape that is unique to your centre. Having worked in animation video editing, animation, illustration and as a zoo keeper responsible for animal enclosure habitat-landscape designs, Matt Coker has a fascinating set of skills that equip him to incorporate design principles in a playful manner. After volunteering at animal conservation centres around the world and passionately working to improve animal welfare, Matt returned to New Zealand and pursued a career as a senior designer at Playscape. This Kiwi playground design and installation company provides fun yet educational playgrounds for learning centres. Copyright © 2011-2019 Playscape. All rights reserved.